Jimmy Fallon has been reuniting beloved television casts again – and last night he only gathered the survivors of the ’90s high school series Saved By The Bell for a one-off skit on The Tonight Show! We think we might forgive him for that awful Friends reunion now. 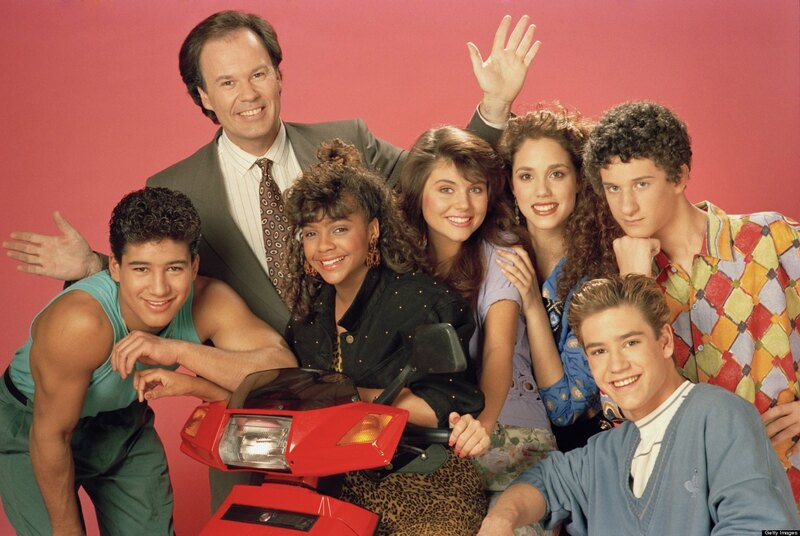 The sketch shows a younger Fallon at Bayside High, meeting up with his friends Zack (Mark-Paul Gosselaar), Jessie (Elizabeth Berkley), A.C. (Mario Lopez), and Kelly (Tiffani Amber Thiessen) – all looking pretty impressive compared to the former cast members of some other shows that will go unnamed. Perhaps that’s because Dustin Diamond apparently didn’t respond to the invitation to join them. Or didn’t get one. The reunion revisits old jokes, including a tribute to the series’ famous theme tune, a poke at Berkley’s role in Showgirls, A.C.’s epic ballet skills, headmaster Mr Belding and we even got one of Zack’s amazing ‘time out’ segments, after discovering Kelly is pregnant with his baby. Of course in real life, Tiffani Amber Thiessen is having her second baby with her hubby, but we like the pretend. Oh, AND there’s a singalong. It’s every ’90s kid’s dream come true.